When people ask me about Allen Iverson -- and they ask me about him quite often -- I don't respond right away, because I'm busy filtering through dozens of memories, processing an equation, trying to get them to add up to one thing, an adjective that sums him up, something neat and tidy. I want to be able to say, "Allen Iverson is [fill in the blank]." But I can never do it. So instead, I end up telling the stories I compiled about him during my time on the 76ers beat for the Philadelphia Inquirer. That seems so much more fair, to let the listener draw his or her own conclusions about Iverson -- aka "The Answer" -- one of the best and also one of the most polarizing players in NBA history, who will officially announce his retirement at the club's home opener Wednesday night. I covered his final days in an NBA uniform, his last go-round in a league he helped define. The year was 2009, and the Philadelphia 76ers, the team that drafted him No. 1 overall in 1996, the team for which he played his most successful seasons (seven All-Star appearances and four scoring titles), had done an about-face and signed Iverson to the veteran's minimum in early December, its season already crumbling. I say "about-face" because the folks within the franchise, from top to bottom, had sworn he would never return. 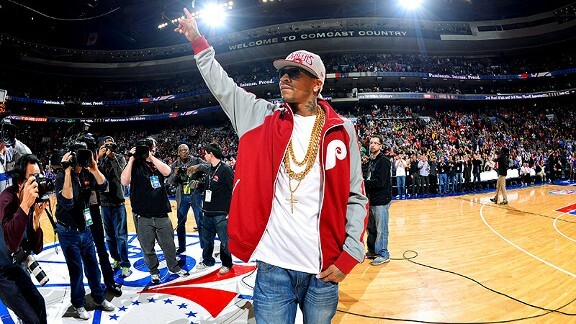 This article appears on ESPN.com, to continue reading please click here: Allen Iverson's NBA Ups and Downs.